Our HD series, available as single or double pumps and suitable for mobile hydraulic systems like garbage trucks and kippers, offers displacements from 10.8 cc/rev up to 200 cc/rev, working pressure up to 275 bar and speed range up to 2800 rpm. 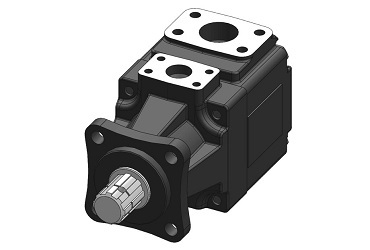 HQ series is available with ISO 14 flange and SAE ports. From 16 to 150 l/min (4 to 40 gpm) at 1500 rpm and 0 bar. at 1500 rpm and 0 bar.